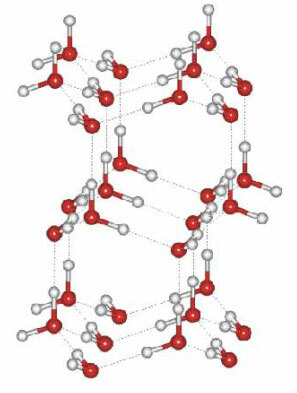 Figure 5.6: Liquid water (at left) can be thought of as a seething mass of H2O molecules in which hydrogen-bonded clusters are continually forming, breaking apart, and re-forming. 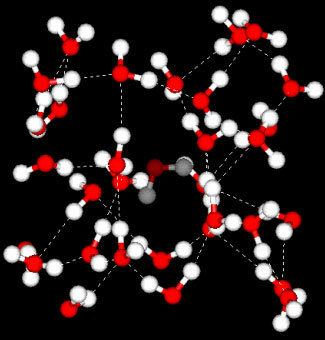 The more crowded and jumbled arrangement in liquid water can be sustained only by the greater amount thermal energy available above the freezing point (0°C). Notice the greater openness of the ice structure (at right). This is necessary to ensure the strongest degree of hydrogen bonding in a uniform, extended crystal lattice. Download the Measuring the Temperature of Water, Snow and Ice document (pdf) for a variety of activities for students of various ages for measuring the temperature of snow and water. You can also view Measuring the Temperature of Water in the Content Map at the left. 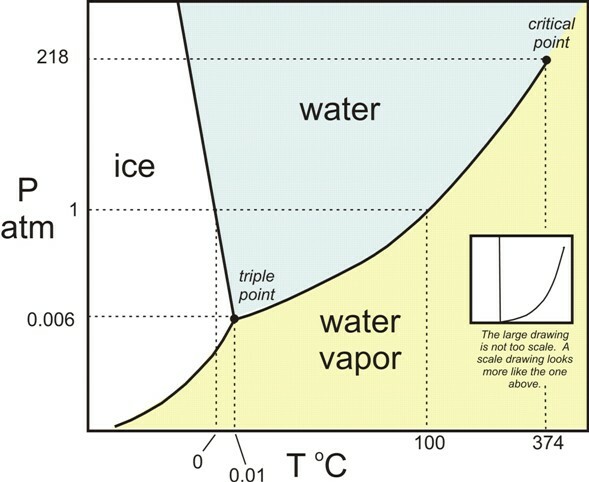 Figure 5.7: This graph illustrates the phase changes of water, as they occur based on temperature (T) and/or pressure (P).